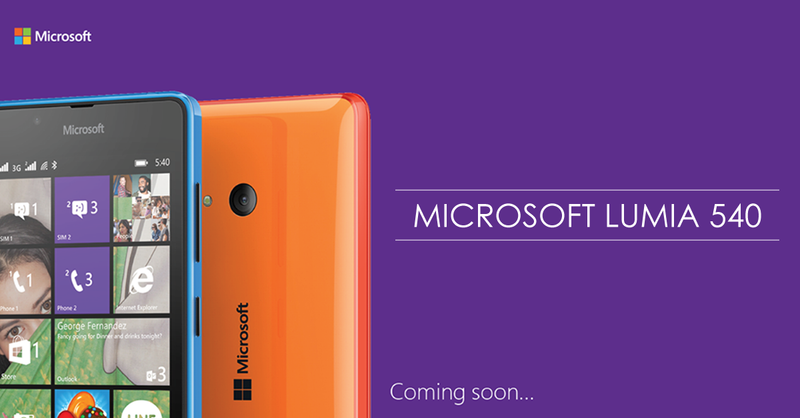 Microsoft Lumia Bangladesh will be launching the much-awaited Lumia 540 Dual Sim phone in Bangladesh soon according to their post pubished in Facebook. After announcing the Lumia 640 and the 640 XL, Microsoft has made it tough for the Lumia buyers as they announced the Lumia 540, yet another mid-range device. Lumia 540 features a 5-inch 720p display and runs on the Windows Phone 8.1 OS which will be upgradable to Windows 10 Mobile OS. The Lumia 540 Dual SIM smartphone is armed with a 1.2GHz quad core Qualcomm Snapdragon 200 SoC, 1GB OF RAM and 8GB of internal storage which is expandable to 128GB via a MicroSD card. Apps such as Skype and Office will come pre-installed which would be very suitable for multimedia communication and productivity. Best part, users will also be getting 30GB of free cloud storage. As for the camera. the Lumia 540 sports a 8 megapixel rear camera with a 5 megapixel front-facing camera which is a good addition for the selfie enthusiasts. When Lumia fans inquired about the price of Lumia 540, Microsoft Lumia facebook page admin’s replied that the price of the Lumia 540 in Bangladesh would be around Tk 14,000.